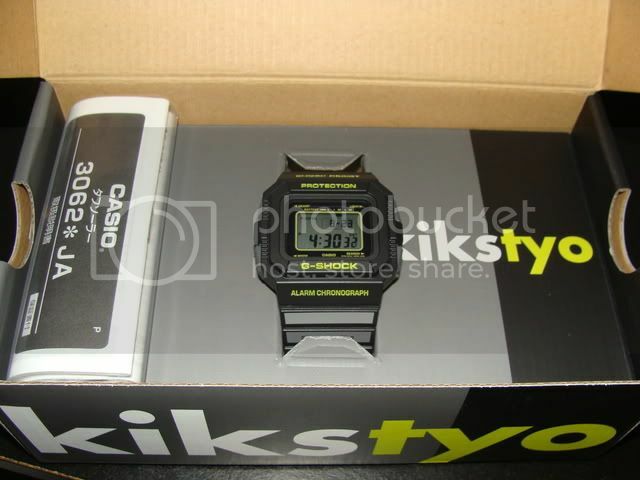 Just added this one the the collection, the Kiks TYO G-5500 25th anniversary , This watch was made by Casio which collaborated with Kiks. 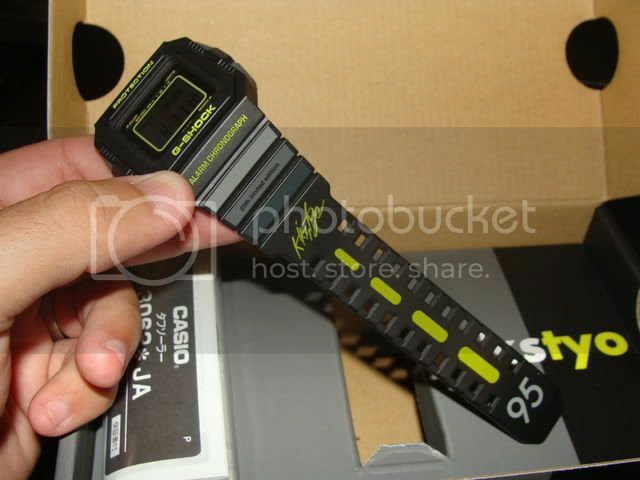 This watch represents the Airmax 1995 color from there sneakers. 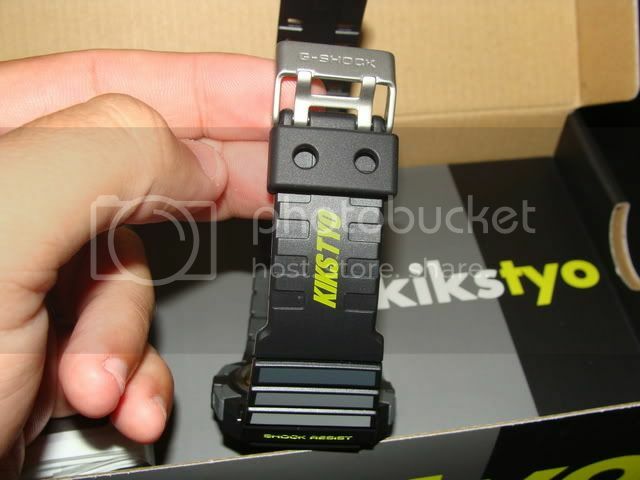 This watch came in straight fom japan, the seller included a nice Kiks Tyo bag and a Kiks 2011 catalog, nice touches, the watch looks great, right now it's on medium charge , I have to put it next to my window for a bit so it can reach high. I seen an article on highsnobiety that 200 of these where released , dont know if that is fact or fiction, but glad I found this brand new in box, I love the mini shoe box, it's super cool. Great video review and pictures as ever Mike, thanks for sharing. 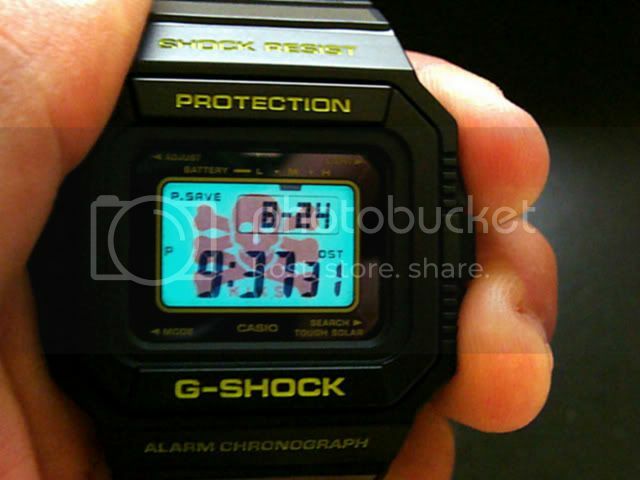 Did you score the watch from this Japanese ebay seller > http://www.ebay.com/itm/CASIO-G-Shoc...ht_3177wt_1139 , quite tempting at that price for a really sharp collaboration. It really needs two backlight settings - one so you can read the time and one to show the logo alone! Nice to know that you are pleased with it, always a worry when you have laid out money as to whether the contents of the package live up to expectations.